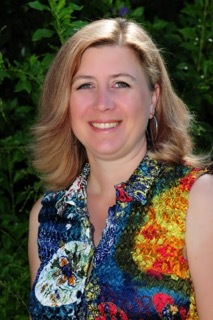 I had the pleasure of interviewing Tracy Kincaid, author of Freeing Lost Souls. 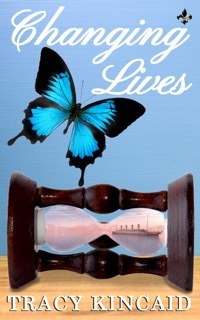 My name is Tracy Kincaid, a native Southern California girl who recently transplanted to South Western Pennsylvania. I’m a wife and mother of three. When I’m not writing you can find me reading or crafting. I enjoy the outdoors, whether it be working in the garden or hanging out with family and friends. I now have 2 books out: Changing Lives (July 2015) and Freeing Lost Souls (January 2016) both on sale on Amazon, available in e-book or paperback. I graduated from Azusa High School in Southern California, from there I attended Citrus College. I was majoring in Music with a Minor in Theatre. I found love and left that goal. Somedays I wish I would have stuck it out and other days I am happy with my choice. I have been married for almost 18 years (The husband better be saving up for that cruise. for our 20th!) We have 3 great kids. (24 years, 13 years, 6 years. NOT RECOMMENDED) Most of my side of the family as well as our oldest are still in CA, I visit as often as I can. About 6 years ago or so I had a weird dream about the Titanic. I must of had the same dream every night for a week. It was driving me crazy. (No I wasn’t watching the movie at the time) One day I had a more detailed dream, so I started to write it out. Took me 5 years to get it all out. Then my friend and author, Eryn Black asked to read it. She loved it and pushed me to submit it. It was accepted within 2 days. I was shocked. On release day I hit #16 on the Amazon Best Seller list. I was beside myself. And I haven’t stopped writing since. I try to sit and write something everyday. Not that that always works. After I get the kids off to school I sit at my desk and try. Some days I can sit and it just comes flowing out of me. Other days I sit on the computer doing anything but writing. I do have my routines: eat a good breakfast, clean my work space and make sure I have candy in my dish, usually Jordon Almonds! Do you have a specific writing style? Are you a plotter or a panster when it comes to writing? I tend to be a panster. I have an idea in my head where I want the story to go. I just sit and write until I get to that ending I want. Sometimes the ending doesn’t come until the end. I’ve tried to do it like that teach you in school, but that is boring to me. So I don’t do it. I will make notes now and then, but I stray from them sometimes. In Changing Lives, Natalie, in the beginning is me. I figured that I knew who I was so I just wrote myself into the book. Some of the other people in the book are based off of people that I know. I am a people watcher, so watch out or it may be you. In Freeing Lost Souls, Randy, Sarah’s dad is my dad. If it wasn’t for him being a Civil War buff our trip to Gettysburg would not of happened and the story would not have been written. He even picked the ending. It will shock you! LOL. My parents have supported me in what ever I have wanted to do in life. And for that I am grateful. Do you get writers’ block and if so, how do you overcome it? Oh God, yes I do. I know some say that it is all in your head. But when those voices stop talking to you nothing ends up on the paper. When I was writing Freeing Lost Souls, I had it so bad that I started to do anything but sit at my computer. I am a crafty person, so usually I would craft. But since this book had me so mad, I started to paint our deck (We have a huge deck). I got about half way through it when, Bruce my lead male in the book started to yell at me in my head. He was finally ready to tell me what to do next. I am one of those that hates to leave things undone, so I made him wait until I was done. (Can’t have half a deck painted) When I finally sat down to write, I almost finished it in one sitting. I started to write it soon after our trip to Gettysburg and finished it within the year. It was released on January 18, 2016! I have so many that it would take forever to list. I hated reading as a kid. Books were boring to me. I could never find one to hold my interest. It wasn’t until the Harry Potter series came out and there was such a fuss over it. I started reading the 1st book soon after the 1st movie was released. I didn’t stop reading after that. If they had these kinds of books when I was a kid I would have read. When the last book was released I stayed up by myself to stand in line at the Barnes & Noble to get my copy. It was a blast. People of all ages were there for a BOOK! After that I went onto to read the Twilight series. I didn’t get into the adult books until Fifty Shades came out. Now I can’t stop reading them! So I guess these ladies influenced me, but so many more since them. Are you trade or indie published? How has your experiences differed from your expectations prior to becoming a published author? Well, when I put Changing Lives out I went with a publisher. With Freeing Lost Souls they decided to close their doors so I am going at it as a full Indie. I didn’t realize how hard it is to do. But I will learn as I go, and I have a great support team of Indie authors willing to help me every step of the way. I wish I would have paid more attention in school, in English class. LOL. Thank God for editors! Getting people to see you, I think is the hardest. We can write all we want, but if you have no one reading you work, what is the point. You can only sell a book to your friends and family so often, eventually you need someone outside your circle to read it. That is a good question. Once Changing Lives was done and out of my hands, I took a break. 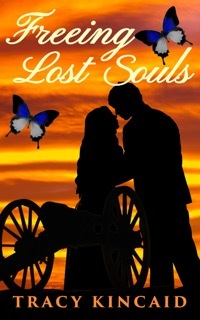 Freeing Lost Souls took me 1 year to write. Now Past, Present, and Future is half way done. I hope to have it done within the next few months. I have an idea where it will go, I just need to get there. Since I released a book this week I have been busy promoting it. But I plan on getting back into this new one this weekend. Don’t give up. Try! If you don’t try then you will never know. Sarah Finny is an artist who prides herself on being a free spirit. Her job sends her to Gettysburg, where she discovers a powerful connection to the legendary battlefield. While exploring the historical landmark, Sarah comes upon park guide, Bruce Wilks who has injured his leg. After offering to help him, Sarah develops an unexpected attraction toward Bruce, which threatens her heart as well as, her cherished nomadic way of life. A powerful and mysterious entity brings them together hoping to enlist Sarah and Bruce in finding his own long-lost love and, thereby, freeing lost souls. She looks at her computer. As she searches for the order, I look around the shop at tons of Civil War props. God, I wish my dad were here to see all of this. I’ll have to send him a picture of our little group in our costumes. He will freak out when he sees it. “Aw, here it is. Let me run in the back to get it. Be right back.” She goes into the back room while I browse. I hear the bell over the door ring, and I turn to see Bruce walk in. “Hey, you,” he announces as he walks over to me and gives me a hug. The hugging is a new thing, but I’m fine with it. I would love to melt into his arms someday. “I thought you had your own.” I laugh. “Well, actually I do. I think everyone who has grown up here has had several over the years, but I needed a new one. So I had Mary make me one.” He shrugs. “Sure, give me a second,” Mary says as she lays my costume on the counter then goes off into the back again. “So what are you up to now?” Bruce inquires me. Mary comes back to the front, holding a bag for Bruce. “You two need anything else?” she asks. “No, I think we have everything we need. Thanks again, Mary. See you soon,” Bruce says. After getting our costumes, we put them in our cars then walk to a little sandwich shop on the corner. We get a table outside since it’s such a nice day. “So, what is it that we do at this reenactment?” I ask. “So who decided what we’re doing?” I ask because I find it strange that I’m to be a nurse. “It does sound interesting. I haven’t seen you around much. What have you been up to?” I ask. “Tourist season. Why, you miss me?” he teases. “Of course. I thought you were my own personal tour guide. I didn’t think I had to share you with anyone,” I tease back. “I’ve been known to cut a rug now and then.” He feigns being hurt. “Sounds like fun. So when are we going?” I wonder if that is how he sees it. “It’s a date, then?” I wish, crossing my fingers like I used to do when I was a kid, hoping something would go my way. “It’s a date if you want it to be. No pressure.” He looks at me and blushes. “Really? I had no idea.” He smiles, showing those adorable dimples.